Does anyone know how to get the play button to show up when starting game? Tutorial How to Get Unlimited 30-day trials of Amazon Prime! 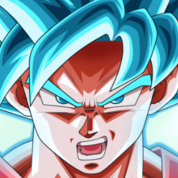 Mod Menu Hack [Updated] DRAGON BALL Z DOKKAN BATTLE v4.2.2 +3 Cheats!